The Ontario Cannabis Store faces dozens of complaints online about slow delivery, cancellations and wrong shipments in the wake of marijuana legalization. 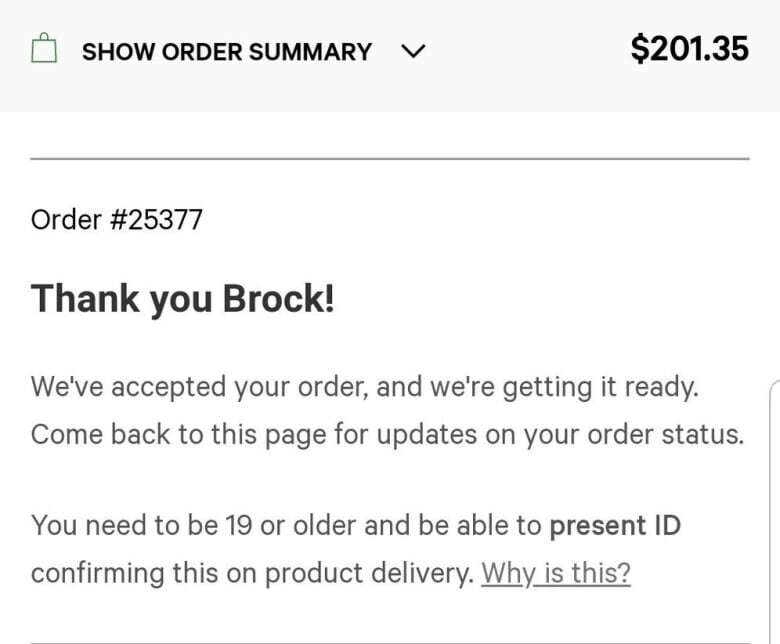 After waiting years for marijuana to become legal, Brock Regan was ready on the night it happened to buy online from the Ontario Cannabis Store (OCS). "[Cannabis] has been part of my life for about 20 years. Seeing it legalized was a big stepping stone," Regan said. 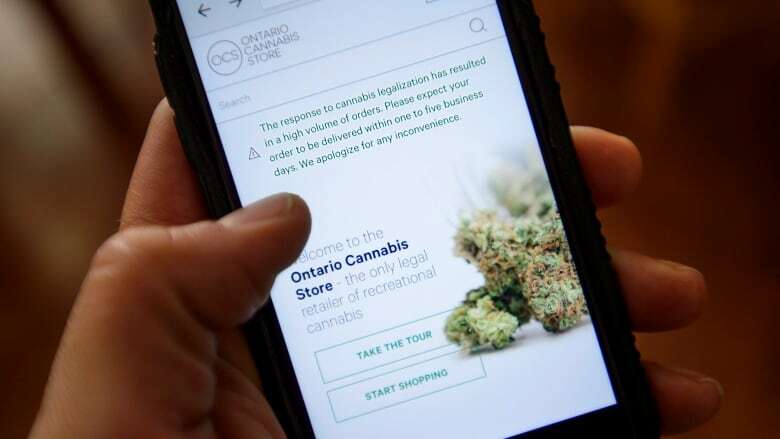 But Regan, along with dozens of customers across Ontario, are complaining about the OCS launch as reports of shipping delays and cancellations mount. The provincially-run online retail website went live at the stroke of midnight on Oct. 17. It reported that within the first 24 hours, it had accepted 100,000 online orders. "The way that everything has fallen apart, it's been more a disaster than anything," said Regan. More than a dozen customers contacted CBC Toronto with complaints about the way the OCS has handled online deliveries. Their issues range from changes in shipping estimates, to a lack of follow-up for order details to wrong products being sent. 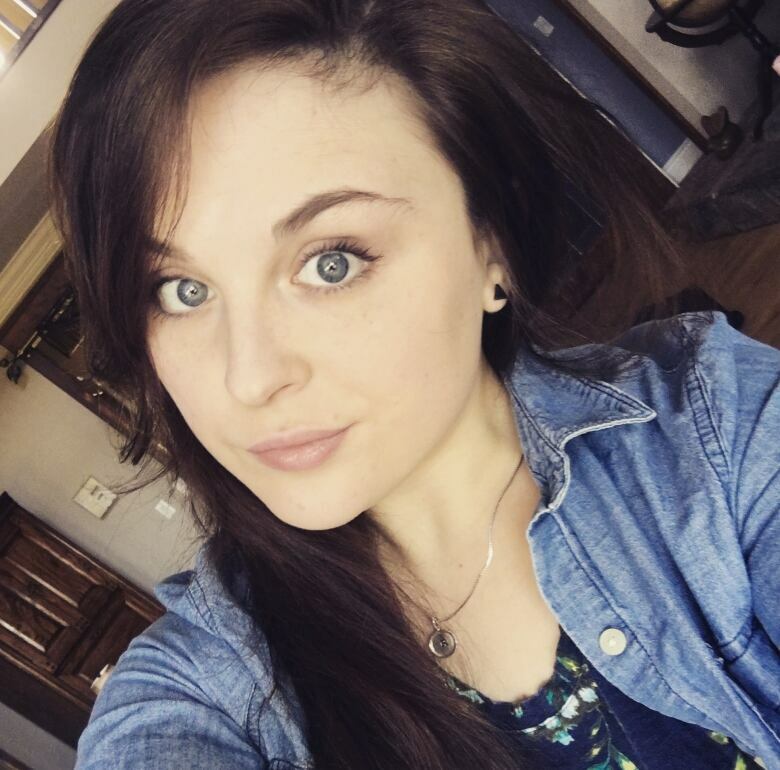 Regan Bluett placed her order on the night cannabis was legalized but only learned four days later that her order had been cancelled, after calling OCS' customer service phone line. "There wasn't even an email notification. And then I even checked online and it still says, 'Thanks, we're processing it.' And it's still pending on my credit card." An OCS representative told Bluett there were issues with her order that led to the automatic cancellation. But she said an online retailer should be organized enough to notify a customer in that event. "I think [the OCS] underestimated everything. I think they underestimated how many people were going to be ordering and I think they got jumbled up." Tyler Savage is another customer who was anticipating legalization. He placed an order within 40 minutes after the site's opening but said he's frustrated that no further communication of shipping estimates have been sent. "[The OCS] is probably swamped. But I sent an email and I had a couple other friends try to get a hold of them but we're still kind of left in the dark here." The OCS declined an interview with CBC Toronto about delivery issues or complaints forwarded on behalf of customers. But in a statement issued Tuesday afternoon, OCS stated its staff are working "around the clock" to keep up with "unbelievably high demand." The provincial supplier noted rotating strikes at Canada Post will lead to "longer-than-expected" delivery times for some customers. "While a majority of first-day orders will be fulfilled within days, many first-day customers will still see delivery times that are longer," the statement read. "Delivery times could be further impacted as the situation at Canada Post unfolds." Tainted by their first experience with the OCS, Regan believes many customers will eventually turn back toward the illegal market for marijuana, citing their familiarity with what kind of products they're buying — and when they will receive it. "These other [dispensaries] where you could get it within 24 hours or same-day delivery within four hours through a courier, now you're waiting a week or two if there's no [legal] storefront to go into."